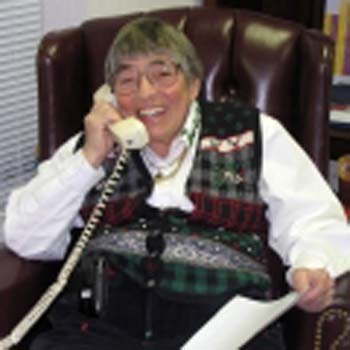 I am very saddened today to report of the death of beloved Peninsula physician and philanthropist, Sarah Forbes, Class of February 1945, who was killed in an automobile accident in Coinjock, North Carolina on Friday, June 24, 2011 at the age of 85. She was the only child of the late Mary Brock Forbes, seventh grade science teacher at both Newport News High School and Walter Reed School. This in today's Daily Press. Sarah was in the NNHS Class of Feb. 1945. I'm sure there will be a lot more to follow. Sarah E. Forbes, a well known Newport News physician, was killed on Friday afternoon in a car crash in the Outer Banks. Trooper David Pearson, a spokesman for North Carolina Highway Patrol, said that Forbes crashed her H2 Hummer into a farm tractor around 4:45 p.m. Friday on U.S. 158 in Coinjock, nearly 20 miles north of Kitty Hawk, N.C.
Pearson said that Forbes' SUV was traveling between 50-55 mph and that the tractor may have been traveling around 15-20 mph. She was the first woman to start a private OB/GYN practice in the city of Newport News. She was also president of the Peninsula Society for Prevention of Cruelty to Animals. Forbes stepped down in 2004 after allegations of financial mismanagement at the agency. She was credited with helping to turn around the Peninsula SPCA from a fledgling animal shelter to a bustling center with a budget over $1 million. OH, NO! Fred, this has upset me more than I can say! Thank you so much for letting me know! My sympathies on the passing of your classmate. 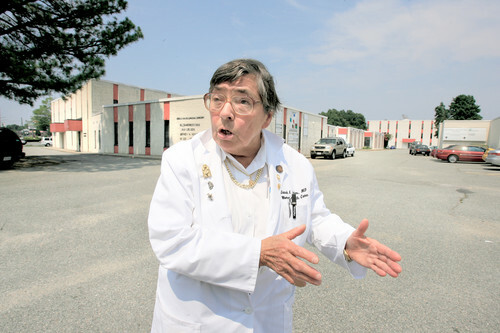 NEWPORT NEWS - The Virginia Peninsula and the medical profession lost an icon on Friday, June 24, 2011, when Dr. Sarah Elizabeth Forbes was killed in a tragic automobile accident. Dr. Forbes would first want to be remembered as a compassionate physician, who was dedicated to her patients. Dr. Forbes' extraordinary talents led her to be a successful real estate developer with her hallmark achievement in Virginia being the Warwick Medical Center. Her vision for making real estate come alive was showcased in Nags Head and Currituck County, N.C., and at her famed Windmill Point Restaurant. Born in Currituck County, she was the only child of Mary Brock and Dexter T. Forbes. She moved to the Virginia Peninsula in the early years of her childhood and resided in Newport News until her death. She had a special bond with her mother who worked as an educator, and took a second job selling encyclopedias and dictionaries to help put Sarah through medical school. 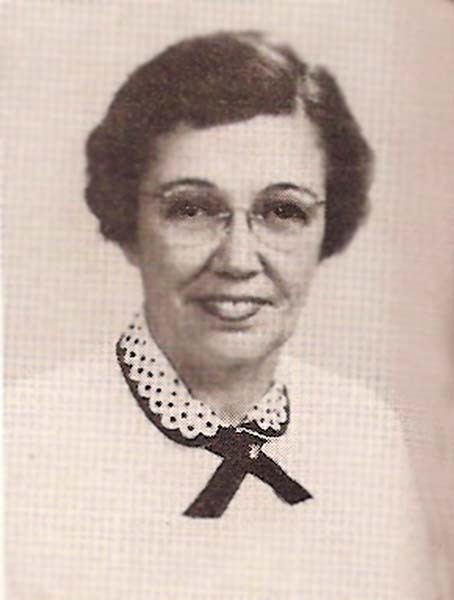 Dr. Forbes began her education in local schools, graduating from Newport News High School in 1945. After obtaining her bachelor's degree from the University of Rochester in New York, she studied medicine at the Medical College of Virginia in Richmond. Her perseverance helped her overcome the challenges of being a woman in the field of medicine at a time when only one or two women were accepted into a medical school class. Throughout her life, Dr. Forbes was a woman of many "firsts." Under the mentorship of Dr. Mason Andrews, she completed her residency in obstetrics and gynecology, becoming Norfolk General's first female resident, and eventually chief resident of OB/GYN. In 1958, she became the first female physician to open a private OB/GYN practice in Newport News, in which she successfully and lovingly practiced until May of this year when she retired from medicine. Dr. Forbes was the first woman to be selected to the board and the first female president of the Boys and Girls Club of the Peninsula, where she was honored as a member of the "Wall of Fame" - the first and only woman to be so honored in the club's 65 year history. Sarah was often honored for her contributions to the organizations she served and the community she loved. Among her many awards were the Virginia Center for Inclusive Communities' Humanitarian Award in 2007 and the Medallion Award, the highest recognition The Boys and Girls Club of America presents to volunteers. Her concern for her patients, affection for animals, and love for her community led to her engagement in and support of many professional and community organizations. She served as president of the Virginia Peninsula Academy of Medicine, the Newport News Chapter of the American Cancer Society, the Newport News Medical Society, and the Peninsula Society for the Prevention of Cruelty to Animals. Sarah was a philanthropist. Her generosity has benefited many organizations, including The Family Planning Council, First Baptist Church of Newport News, The Peninsula SPCA, the Mariners' Museum, Riverside Hospital, and Christopher Newport University. Her estate plan is designed to continue her legacy of caring and sharing. There was no bigger supporter of CNU than Dr. Forbes. She recognized its impact on the Peninsula and the importance of its educational mission. Dr. Forbes provided the lead gift for a new science building at CNU, to be named for her mother Mary Brock Forbes. Additionally, Dr. Forbes' generosity will make a bell tower on CNU campus a reality and the bell will be that of the SS United States, which was donated to CNU by Dr. Forbes. Dr. Forbes embraced the historical mission of the Mariners' Museum and its world class stature, to which she added, not only by her generosity, but by donating numerous memorabilia from the SS United States. Dr. Forbes had the vision to rescue and preserve many of the artifacts of the SS United States, proudly built at the Newport News Shipbuilding and Dry Dock Company. Dr. Forbes was a passionate animal lover, especially of her prized dogs. Her leadership role in helping the SPCA grow and flourish was something about which she was justly proud. Pioneer, Physician and Philanthropist, a life well lived and one to be admired. She will be missed. A memorial service to celebrate Dr. Forbes' life will be held at 3 p.m. Wednesday, June 29, at the Music and Theatre Hall at the Ferguson Center on the campus of CNU. In lieu of flowers, it is requested that you honor Sarah's memory by making a contribution to: Boys and Girls Clubs of the Virginia Peninsula, 11825 Rock Landing Dr., Newport News, VA 23606; Christopher Newport University, 1 University Way, Newport News, VA 23606; Peninsula SPCA, 523 J. Clyde Morris Blvd., Newport News, VA 23601; the Sarah E. Forbes M.D. Charitable Foundation, 739 Thimble Shoals Blvd., Suite 105, Newport News, VA 23606 or to your own favorite charity. View and post condolences on our online guestbook at dailypress.com/guestbooks. Published in Daily Press from June 27 to June 28, 2011. ABSOLUTELY A GREAT PHYSICIAN AND FRIEND WHO TOOK SPECIAL CARE OF HER MANY PATIENTS. I THANK HER FOR SAVING MY LIFE IN 1980. SUCH A TRAGIC END FOR A DOCTOR WHO WAS SO DEDICATED TO HER PROFESSION AND RESPECTED AND LOVED BY SO MANY. I was saddened to hear the news about the passing of Dr. Forbes. 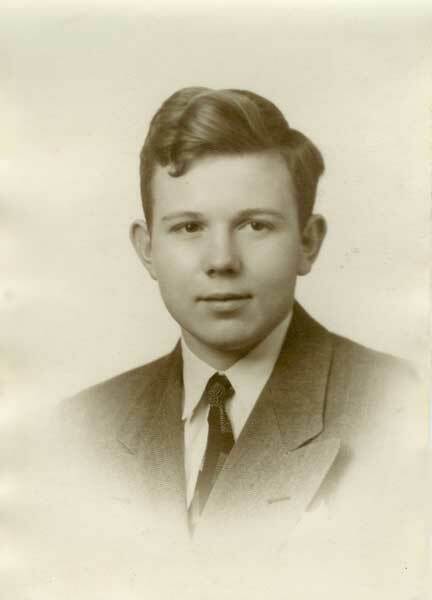 Dr. Forbes brought me into this world almost 49 years ago. I would see her at her restaurant, Windmill Point, and she always had a smile on her face. I saw her at a Christmas party in December and we rekindled the time of her bringing me into this world. As a graduate of CNU, I admire Dr. Forbes' generosity and love for CNU. She has done so much to make CNU a great university...and I'm confident her legacy will live on for a long, long time. She will surely be missed by many--she was an amazing woman! The passing of Dr. Forbes is a tremendous loss for our community and for her many friends and patients who loved her dearly. If ever a life was cut too short after just 85 years - it would be Dr. Forbes'. Up until her last days, she was more alive than people half her age. It is truly a tragedy that she did not live long enough to see the building named after her mother dedicated and witness first hand the fruits of her labor and its impact on learning at CNU. Equally sad is the fact that Dr. Forbes had just recently retired from her practice and she had not yet had the opportunity to travel, visit friends and otherwise enjoy retirement. Dr. Forbes was a remarkable woman - a pioneer in many respects. You will hear many stories about her, her limitless generosity, her passion for service to the community, her love of animals and her dedication to patients in the days and weeks ahead. I was privileged to have known Dr. Forbes and even more privileged to have called her friend. Your legacy will live on inside of each of us until we meet again in heaven. Dr. Forbes was an amazing woman and a role model for me of how women can be successful in the working world. Having grown up spending my summers with her and Dr. Wood, I was continually amazed at Dr. Forbes' business sense and charitable nature. The world will truly be a sadder place without her. Such tragic news. I am honored to have been one of her "early deliveries" and in later years, a patient. Dr. Forbes is truly an inspiration as a woman and a person. I am glad she got to spend some retirement time before her untimely death. Her contributions will live on, and she will be missed. Dr. Forbes delivered two of my children who are now 46 and 50. She was a wonderful friend as well as my physician and "advisor". She will be truly missed. My thoughts are with you and your family at this time; may your memories bring you comfort. Dr. Forbes was an amazing person who unselfishly shared her numerous talents and loves with so many. May she rest in peace knowing her legacy will live on. I cannot begin to express my sadness and grief over the death of this great lady. Words escape me. It is a comfort to know that due to her immeasurable works of charity and compassion her memory will live on here on earth. I am not alone in saying that I will greatly miss her--she was indeed one of a kind and a great lady. God has to be smiling upon you now Sarah and saying, "Well done my good and faithful servant". Thank you for your dedication and accomplishments to our community and humanity. Dr. Forbes was a "physician" in the true sense of the word... She was a healer of both body and soul for those who were fortunate enough to call her doctor and friend. Great people come along infrequently. Dr. Forbes was one of those very special people. Gracious, kind, energetic and genuine. I am proud to have known her. Proud of the opportunity to sit down many times and talk with her. I shall miss her. God Bless. She also saved my life on 08-13-64. My mother was a patient of Dr. Forbes and loved her dearly. My mother started seeing Dr. Forbes in 1962. R.I.P. Dr. Forbes. Thank you for all you have done for my family. You will be missed. Dr. Forbes delivered my daughter in 1968. She took care of my medical needs for over 40 years. I'll miss her laughter and healing touch, her love of animals and most importantly her friendship. She was a great lady and she'll be missed. Her family is in my prayers. Dr. Forbes was a wonderful doctor and friend. I always called her (Mom) because she stayed on me to make sure I took good care of myself. I am sooo sorry to hear about her death but realize she's in a better place. I was supposed to see Dr. Forbes next month after my surgery; she will be dearly missed. God makes no mistakes, rest on Dr. Forbes you're home now. I am shocked and saddened to hear of Dr. Forbes passing. She was an amazing woman. While I was never a patient of hers, my favorite aunt was. Dr. Forbes was always running behind, once she came into the room it was obvious why, she was caring for someone else, just as she would care for a family member, and she was going to care for you the very same way. God Speed Dr. Sarah E. Forbes, you are and will be missed. You delivered me and were so very special to my family. It was always such a pleasure to see you. I will forever remember hugging you Thursday evening. You are in a much better place. Thank you for your care, devotion and giving. You are gone but will not be forgotten. As my doctor, you cared for me with great compassion and concern. I am so grateful to you for trusting in me to handle your advertising needs several years ago. It was such a pleasure working with you! Your passing will be a great loss to the community and the many patients that you have cared for over the years. May you rest in peace, Dr. Forbes! For more than 15 years I flew Dr. Forbes from NN to her home on the outer banks. She refused my offer to teach her to fly until one day, I jokingly asked if my pacemaker would interfere with her phone. If it hadn't been for Dr. Forbes, I might have never have had my 3 children and she delivered all three. She was there the day I was born. She was there for me many years later. She's helped my mother through hard times. My heart is heavy today. I saw Dr. Forbes for my very last appointment the week before she was retiring. She was happy and ready to start enjoying the work free days of retirement. I am so saddened to hear of her sudden passing. My deepest sympathy to her staff and her loyal nurse Moira. May GOD comfort you in this time of sorrow. Sincere sympathy is expressed on behalf of Management, Staff and Realtors at Prudential Towne Realty in Williamsburg, Virginia. Dr. Forbes came to our salon, The Clipper, and had her hair cut by my friend, Kathy. I got the pleasure of getting to know Dr. Forbes thru the years of her coming into the salon. She has done so much for the community and human kind. She will be deeply missed by all. My prayers are with all her family and friends. Her life was like a gift from the sea cast upon the shore, but for a moment, to make a difference to so many, accomplish great deeds and change the world around us. Then swept away, but her life will be remembered every time we see the sparkle of the sun on a cresting wave or a puppy frolicking on the beach. Those who loved her dearly will be comforted by the caressing sea, that reminds us of God's promise that one day we will be together again. My deepest sympathy. She was my mother's doctor. I began seeing her before I was 18 and was hoping to see her next week when I travel home. I loved her spirit. She helped me stay on top of my health. She was the most thorough doctor, sincere, honest, and candid. She always had a smile, a kind word, and encouragement for me. When the doctors in NVA failed to diagnose me properly, Dr. Forbes ALWAYS came through and addressed the problem. She was SPOT ON! She was the Best! I will truly miss her. Dear Dr. Forbes - Thank you for saving Alyson's life. 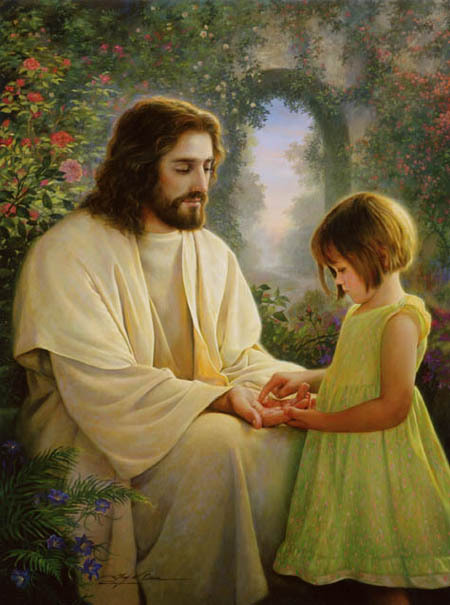 Heaven will be much safer with you there to watch over everything. GOD BLESS YOU!! LOVE YOU! Words cannot express the loss our community feels over the sudden death of Sarah Forbes. Prayers for strength and God's peace be with her family and many friends. God Bless you, Dr. Forbes, and thank you for all you have given. Rest in peace. How sad to read of Dr. Forbes' tragic passing. She was a childhood friend of my late mother and my grandmother's beloved physician and friend. I will never forget reading my mother's NNHS annual which Dr. Forbes signed "the little general". God Bless you, Dr. Forbes; an era has truly ended with your passing. My grandmother, mother, and I myself were all patients of Dr. Forbes. She delivered my brother and me. She was so caring and thoughtful to all of us over the many years. My deepest sympathy to the wonderful staff and to her family. My thoughts are with you during this difficult time. My condolence to the family of Dr. Forbes. Dr. Forbes was my landlady at Pepper's Apartments in Hayes. She was kind and a lovely lady, very giving of her time and resources to the betterment of Virginia and North Carolina. Condolences to her staff and family; the whole community mourns her loss. I have known Sarah since 1961. A wonderful person who touched so many lives; she will be missed. I used to work for Dr. Forbes and she was an amazing woman. She encouraged me to become the person that I am today. Thank you for all your years of hard work and dedication to the community. God Bless You and your family. Sorry to hear about Dr. Forbes. I never knew her personally, she did deliver me back in '69. She was a very active person who has touched many. She will be missed. Dr. Forbes was my doctor when I lived in Newport News, Virginia. She was very kind and caring. I will miss her. She was an outstanding person who I grew to admire at our board meetings of the Boys and Girls Club of the Virginia Peninsula. She loved our board and made us very proud to be a board member. I agreed with her whole-heartedly that our board was an outstanding team, where everyone gave something. This was truly the blessings of Dr. Forbes each time she spoke...which was every meeting. I wanted to extend my sincere condolence to the family and friends of Dr. Forbes. She delivered my son in '78 and I had not seen her in years until last January. We were celebrating my son's 33rd birthday in a Newport News restaurant and she was seated at the table next to us. She and I had a good laugh at what a great job she had done. I couldn't believe that she had not changed much at all. She was as compassionate and lovely as ever. RIP Dr. Forbes, Job well done! Dr. Forbes....I miss you more than you could ever imagine. You were my boss and most of all my friend. I remember so fondly all of the laughs we shared all of the practical jokes you played on me and the other girls. You were such an inspiration to us all. I learned so much in the years I worked with you. I can remember trying to always learn different things and you would always say to me, "Little girl, you are going to work yourself right out the door one day, I can't keep you entertained enough!" Always with that big smile on your face. You would be proud of me, as I had a great teacher. Thanks for believing in me and giving me my career a start. I will be forever grateful. I will miss you and think of you often my friend. Dr. Forbes gave me my first paid job as a medical assistant after I graduated Medical Careers Institute. Although I spent most of my time in the billing office, in hopes of moving to a clinical position, I learned a lot. She could be a tough cookie at times, but we all knew she had a heart that was bigger than life itself, and that she wouldn't hesitate to help someone in need. She fought adversity and held fast to her beliefs. I respected her, and I was honored to have had the opportunity to work for her. I will never forget her, that's for sure. Rest in peace, Doc. My relationship with Dr. Forbes was as a pharmaceutical representative. My sympathy and prayers are with the family of Dr. Forbes. She blessed everyone that she came into contact with and her wonderful heart and smile will be missed dearly. She saved my life in 1985. God bless and keep her memory alive in all she touched. I am so sorry to hear of the loss of Dr. Forbes. I’m sure she will be greatly missed. I didn’t know Dr. Forbes personally, only through the wonderful stories my daughter Kelly Thompson had shared. Our prayers and thoughts are with the family of Dr. Forbes. 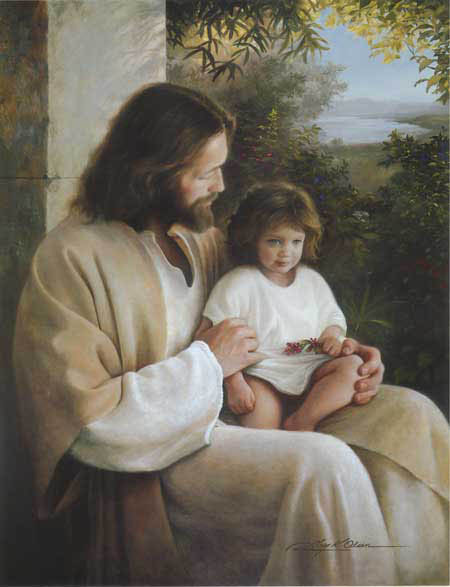 God Bless and comfort you during this time of loss. My prayers and thoughts are with the family of Dr. Forbes. She will be greatly missed. Sarah Forbes was my friend and mentor for many years. Her legacy will continue as we carry on with the ethics and compassion she instilled in all of us she touched. Our sincerest condolences are extended to all of Dr. Forbes' family, friends, and patients at this time. NEWPORT NEWS — In her high school yearbook, Sarah Forbes set the tone for how she would live her life. Beside her 1945 senior picture are the words: "Be a builder, not a boaster." "She grew up in an age where women were a rarity in the medical profession," said E.D. "Buddy" David, her longtime friend and attorney. "She grew up in a different world. She was a pioneer." She was the first woman physician to open an OB/GYN practice in Newport News, but friends say she cared more about serving others than basting in her own milestones. "She never said, 'I did this,' or 'I'm wonderful,' " said Steven Kast, president and CEO of the Boys and Girls Clubs of the Virginia Peninsula. "It was always everyone else." Forbes was killed in a car crash Friday on U.S. 158 in Coinjock, about 20 miles north of Kitty Hawk, N.C. Her vehicle struck the back of a farm tractor that was traveling at a slower speed, according to state police. She was 85. Forbes was also known as a philanthropist who supported various institutions, including The Mariners' Museum, Christopher Newport University and Boys and Girls Clubs of the Virginia Peninsula. "She was just a tireless advocate for children," Kast said. "On the surface, you can see things she did. She was very generous." But Kast said it was the small things that Forbes did that distinguished her from a typical board member. "We would have a girl in trouble and she would counsel them one on one," he said. "She would follow up day after day." Forbes was also a very successful real-estate developer. "She was very tough, very smart, but honest," said longtime friend Dr. Helmuth Trieshmann. "If she made a deal, she stood by it." Forbes' memorial service will be Wednesday at 3 p.m. at the Music and Theater Hall at the Ferguson Center at CNU. "There will never be another Dr. Sarah Forbes," Kast said. "She spent her life helping other people and building people up." Written shortly before his death, it was not published for almost 400 years. Translated to English by William H. Draper (19 Dec 1855 - 09 Aug 1933), it first appeared in the Public School Hymn Book, 1919.